On March 26 and 27, the FDA convened a meeting of the General and Plastic Surgery Devices Panel to investigate the safety of breast implants following a reported link between textured implants and lymphoma, as well as a range of reported systemic autoimmune symptoms following implantation, collectively known as breast implant illness (BII). Earlier in March, the FDA sent warning letters to two breast implant manufacturers, Mentor and Sientra, citing their failure to conduct safety studies after approval. In Australia and France, authorities have been pulling textured implants off the market due to the risk of cancer. The FDA reports that as of September 2018, the agency has received a total of 660 total medical device reports regarding breast implant-associated anaplastic large cell lymphoma (BIA-ALCL) cases since 2010. However, it was clear at the meeting that little is known about BII and BIA-ALCL. At the meeting, participants raised questions about the accuracy of the number of cases of women who’ve been made sick by their implant. The first is the validity of the FDA’s adverse events reporting system. A former FDA employee who now testifies as a data advocate highlighted specific issues with summary reporting and out-of-date public information. Furthermore, because many women are not aware of BII or BIA-ALCL, and many doctors do not associate the symptoms with the patient’s breast implants, there are likely many unreported cases, cases in which women are left suffering without a proper diagnosis. Both underreporting of diagnosis and underdiagnosing of the diseases result in skewed statistics on the likelihood of illness. All reports of cancer were associated with textured rather than smooth implants. About 20 percent of the breast implants used in the United States are textured, while the rest are smooth, said Stephanie Manson Brown, a representative of implant manufacturer Allergan. Woman after woman told the committee of their stories of life-threatening and devastating illness following their breast augmentation and reconstruction surgeries. Women described experiences with BII that included (but were not limited to) chronic fatigue, inflammation, gastrointestinal issues, food intolerance, hair loss, depression, anxiety, and thyroid problems. Women who had undergone implantation for breast reconstruction following breast cancer were left with a new cancer diagnosis, autoimmune illness, or both. 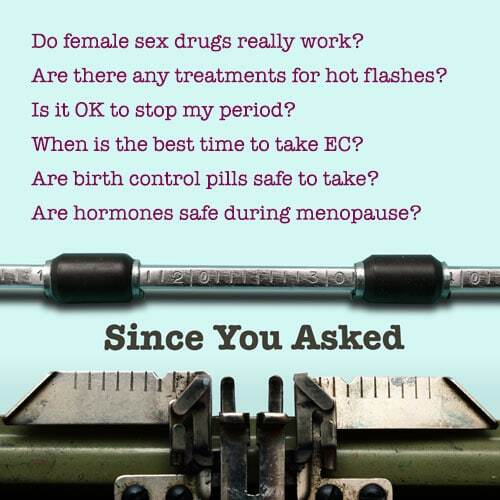 For many of these women, symptoms were relieved or even eliminated immediately following explantation surgeries. “I was blindsided,” said Jennifer Cook, a breast implant patient from Georgia. She was diagnosed with BIA-ALCL in 2017, over a year after her onset of symptoms. Many of the many women who testified expressed surprise at what they did not know: many had been assured their implants would be safe over the long term and were not given good information about the possible risks. None of the women were informed of the possibility of BII or BIA-ALCL before implantation, even when implantation had occurred after the FDA’s official recognition of the connection between implants and lymphoma in 2011. Many of the brave women who testified before the FDA advisory committee would have never received the information they needed for an accurate diagnosis and treatment without online support communities. However, women should not have to turn to social media to get an accurate diagnosis or the support that they need. The stories told by the many women before the committee highlight the importance of comprehensive and transparent informed consent, ongoing education for providers, and investment in research regarding BII and BIA-ALCL. The NHWN recognizes these strengthened informed consent as a move in the right direction, but this is also just the bare minimum. In the end, the committee recommended stronger informed consent practices for breast implant surgeries, including information on the signs and symptoms of BII and BIA-ALCL and the increased risk of BIA-ALCL with textured implants. The FDA also updated recommendations regarding screening for implant rupture. 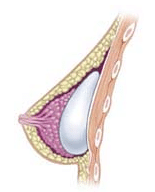 Silent rupture is common with breast implants. The NHWN recognizes these strengthened informed consent as a move in the right direction, but this is also just the bare minimum. The NWHN encourages the FDA to put the health and wellbeing of women over the influence of medical device manufacturers. The current manufacturer-made consent packets are designed to avoid legal issues, not to provide comprehensive and accessible information to the average woman considering breast implants. The current research is inadequate to determine breast implant safety for all women. Textured implants, explicitly linked to harmful side effects, should be taken off the market until further information is known, yet the committee did not recommend this discontinuation. Furthermore, research should include women with family and personal histories of autoimmune illness. This group has been left out of studies due to an increased risk of BII, yet are not warned against the use of breast implants in practice.